Sometimes people are not ready to get into certain truths about their life. However, they may be well ready to hear about other things. There is nothing wrong with not being ready. Just be honest with yourself. I suggest when you call a psychic, from the very start, bring it to their attention to omit certain subjects. It is not denial, it may be that you really don’t care to know or, that it is the wrong time to know. So please inform your psychic from the very beginning of your reading. Yet, in my readings, it’s ok to explore fantasies. Sometimes fantasies can become reality, eventually. We can explore your fantasies, but I will let you know where the reality is, of course. Sometimes exploring fantasies can reveal some past life issues that are still hidden in your subconscious mind. For example, believe it or not, this is a great way to find out new possibilities for future career alternatives. Additionally, it can also explain why you may not be attracted to some things in this life. But please make sure to tell your reader what you do not want to discuss in the reading. Another tip, let’s say your reader picks up on something in the reading, and you really do not care to hear about it, tell the reader you don’t want to think about that right now and can we switch gears. Being in control of what you want to explore in the reading will help your psychic understand you more, and open the lines of communication up even better. I actually respect a person who knows what they want out of the reading. It is a challenge and a pleasure at the same time. I suggest doing this. That is really neat !!!!! I’ve heard stories for years about the haunted places in and around Hollywood..never been there myself. Yeah, and I’d bet that there are alot of stories out there just as COOL as yours…..very interesting stuff !!!!! And it’s really funny, MANY people have had paranormal experiences…..they can share them in here and not worry about being believed or laughed at. ooo Gina Rose that’s a brilliant blog post idea! i’ll start a thread for anyone who wants to talk about haunted mansions. i live in the hollywood area too, and i have a friend who inherited his grandmother’s house which is this huge mansion that sits on a hill in Culver City (the original hotspot during Hollywood’s golden era). the house was massive with winding staircases and super old style furnishings (statues, cherubs etc). we were supposed to play hide and seek there just as a silly game. now i am definitely not psychic, but i just had this feeling of unease and this overwhelming urge to get out of there. i never found out the history but i just feel like something happened there. also, there is this really scary house just off sunset blvd behind the Whiskey A Go Go (where the Doors got their start). my friend and i were driving and got lost. we tried to turn around but ended up on this narrow drive way which we thought was a street. it led us to this massive house that had every light on but there was nothing in it, completely desserted and the garage door was open. then we saw what looked like people hanging from some sort of fixture on the patio. it was sooo scary and i must have done a 20 point turn to get out of there. funny thing, a year or two later we made that same mistake and ended up at the house…same thing happened! Hi…. You mentioned you grew up in Hollywood ??? I bet you have many stories to share with us all about the ” haunted ” mansions out there. inhabited by some very lively spirits and really should be on TV. I’ve done walk thrus in places like that , on & off,over the years. But I’ve heard that some of the old Hollywood mansions are very ” lively ” indeed. Would love the others blogging to share their stories on this subject too…. Sometimes the universe will send us courage at certain moments in our life. This is when your free will begins to really kick in and, as a result, a cycle can be broken as a new one begins. Hi Miss Krystal. I am still holding onto the hope you and others have given me. The days are so hard sometime and I sometime wonder how I will get through but I am giving it a little longer. But I am talking to a couple of nice gentlemen while I wait and maybe this will help me get through. Thank you for your support and yes you as well as others have hit on personality traits and other things that I do agree with. I still dont understand why some tell me differently but I am putting my faith in the ones that have given me hope. Some things that I know to be true tell me differently but then some things tell me to hang on a little longer so I will. But I will date and live my life even though my heart isnt really in it, lol. But thank you. I AM SO PROUD OF YOU! I can tell by what you said & how you said it…you really are turning a new leaf. I am SO happy to hear that you realize – it wasn’t you!! Bravo!! Your new found strength will no doubt be life changing, that’s beautiful! We are indeed blessed to have the most gifted & compassionate team of Psychics mentor and guide us along our life journey. Browneyes, I’m sending you lots of sisterly strength…you can do it!! I agree, during my readings, I am only the ” talking parrot “, My Guides give it to me and I pass it on to the client. I do not even stop to think about current stats, I don’t get into stereotyping people or issues. Every ” soul ” is on an individual, yet very unique journey, depending upon what Life Lessons that particular soul is down here to learn in this specific incarnation. ( And my specialty for years WAS and still IS reading for the top Psychiatrists in the country and Law Enforcement in Us & Canada, so I’m very aware of statistics). Every single reading is as unique as the client.Every client has their own unique ” signature energy “. ***** And I do not spin one reading off of the next ,( which I teach in class as being just lazy and unethical ), with my regular clients…*****I read them just as if they were calling for the very first time. You would not believe some of the things and situations I’ve read on in the 40 plus years I’ve been reading. I’ve said things to clients over the years that EVEN I THOUGHT was impossible..straight from My Guides to them, only to see them come to pass. I never question My Guides….ever. I will continue to pass this on to my students and baby GrandDaughter. and I feel that is a great ability. For example, not every person who is married and having an affair will stay with their spouse, not every rich person will remain rich and sometimes people really do improve and change for the better. Once a psychic learns to be objective, it’s like being a psychic reporter, you just inform the caller what you see, regardless what the “odds” say. 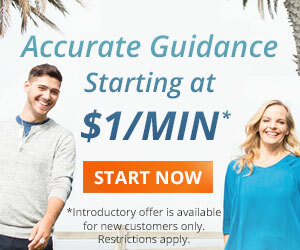 For example, I have a client who has a self improvement background but is not a psychic, and this person told me, “I have a 1 year rule that if we do not get engaged, I am going to cut off the relationship.” However, I saw that at two years, this person would be able to be on the same page with their partner and engagement would open up.” My point is, we don’t use criteria other than our own abilities and the information that is provided to us by our guides. Do you agree with me, Gina Rose? I don’t care what the stats are, what society says about things, I am going to inform the client exactly what I see. Will you teach your students and granddaughter this? Thanks again! I just want to say that I am so glad that you have a team of great psychics that all confirmed important things to you. I think you definitely know which readers you are feeling a strong connection with. I thank you for also including myself in that group. But you really have had some confirmations from myself and other readers you have mentioned in this post. Just know you can call us, we are here for you and we do want to help. Please call us because that is what we are here for. Good morning to everyone. There have been some comments left here applauding this forum and how helpful it is to have discussions here. I just want everyone to know this morning that this blog and the articles at CP have really helped me. And especially one that I read this morning. I have struggled for months with a failed relationship and I read the newsletters and articles about love/relationships on a daily basis. I read one this morning that I know I have read before but something in it really hit home with me. It talked about those that get into a relationship for only 2-12 months then move on. They are addicted to the rush we feel when starting out with someone. I knew this to be true of the man I was involved with but kept telling myself that it would be different between he and I. I think I finally woke up this morning to the fact that until he comes to his senses, there is no future for us. I dont hear from him often but he maintains just a thread of contact. I know if the predictions that he will return come true, I have to make him prove himself before taking up with him again. I am asking for your prayers and support for me to stay strong and be able to hold onto this new revelation I have come to. Maybe I kept reading these things because it hadnt dawned on me yet just what the problem was with us. Now I do know it wasnt me, it was him all along. I feel so much better this morning and am feeling a newfound strength in myself. Maybe, just maybe, this is what the universe has been waiting for. And this is a prediction come true as Jesse told me over a month ago that I would be going through some changes in the next two months and looking after me instead of everyone else. I can see it happening already. Thank you so much for the readings and support I get from you all and for the articles that are proving to be so helpful to me. I wish everyone a wonderful day and upcoming weekend. Hi Miss Krystal…. BRAVO !!!!! I could not have said it better !!!! Different strokes for different folks. Clients needs vary widely…..it’s all about what the client is searching for. Feel free to ask any questions in here. We also want you to get the most out of your readings when calling our line, and these posts can provoke a lot of thought and new insight into ways to receive and handle future readings. I am delighted to see remarks like yours. It’s wonderful to come together and have these discussions. It keeps us on our toes! 😉 I can assure you the readers who have come to this forum definitely like a mental challenge as well as intellectual stimulation and, are for sure group orientated folks. I applaud and am so impressed with all of the readers that entered this forum. I admire all of you for being brave and saying how you truly feel. I feel a connection and I love it! I feel closer to all of you. Well, my GrandDaughter, Ariel, is only one year old….I will in a playful fashion,SLOWLY ,work on the ” mechanics ” of her gift starting around age 3. As for the ethical part,I will teach her not to blurt out everything she sees, hears, & feels….but to be honest AND compassionate. ( We are speaking about a very vocal child, born June 4th, with alot air & fire in her chart ). The ethical part won’t come until around age 6 or 7….as she starts to grow into her extra senses. Oddly enough,..it skips every other generation in my family….my Mother & Daughter are NOT gifted. And only the natural born redheads have the extra sensory gifts. Hi….I will start Ariel out by age 3 , in a playful way, SLOWLY, to discover her skills. Hide & Seek games to enhance remote viewing ( clairvoyance skills ), etc.There are many exercises I can give her, but I need to keep them playful in nature. I want her sixth sense to develope naturally, and in tandem, with her other senses. I’ll have my hands full, as my year old Grand Daughter is born June 4th, with an abundance of air & fire in her chart.She already is very “vocal” for her age…LOL. As far as ethics go…I will teach her the Karmic CONSEQUENCES before she ever does any readings for anybody. She will have to learn to think before she blurts things out.And to take into account the other person’s feelings while , at the same time, being forthright and honest. Hello Seha. Thanks so much for your remarks. I can tell you are very gentle with your clients. It appears you are like Abigail as you both have a real healing energy about yourselves. That is an interesting technique, “do you want to know the outcome.” I am just curious, what kind of reactions are getting with that? Wow, Gina Rose! Yes, I have heard of that, very impressive. Your aunt was amazing! My grandma will turn 100 in October this year. And she is sharp! She still cooks, wears lipstick and does dishes. She even drinks her wine at night. I am sure your granddaughter is already picking up stuff. I can see how your children are a priority for you, and I feel you are a great mom/grandma. Kids really like you and so do babies! Your granddaughter is very lucky to have such a great teacher. I am sure she will be an addition to what appears to be a psychic dynasty in your family! Awesome! How exciting to see her evolve as a psychic. I am just curious, as far as ethics in readings, what will you make sure to teach your granddaughter in the early stages of her development? For example, will you teach her that there are certain things to be sensitive about when delivering psychic messages? Thank You for your kind words.You are very welcome. It does not matter what mood he is in….My Guides are on the spiritual plane…..They are reading his ” soul” path, his Karmic purpose, if you will, the obstacles blocking him, etc…..not his mood. His mood, at the time of the reading,is insignificant to My Guides. Gina Rose, I agree with you about the need to have complete clarity prior to providing a reading. 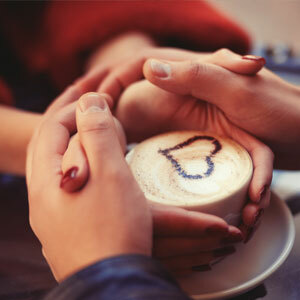 I also ask new clients if they are prepared to hear the outcome of their questions, especially, related to love. I feel above all else a good psychic should provide truth in a very gentle and compassionate way. I try not to offer advice to a client unless they directly ask or I have developed a positive repore first. Most clients want the truth, however, how it is delivered is critical to their wellbeing. I always smudge before and after I begin my schedule. I also pray for direction from the angels Creator has given us. Truth, undestanding and wisdom are my mantra. Hi….It’s a pleasure to correspond with you…. In response to your inquiry if the mood or feelings of the person getting the reading would impact the reading. The answer is definitely. How often do clients ask how is so & so feeling about me? If the person is having a really tough time with life it onlys stands to reason that if say the person is in finacial turmoil it may be hard for them to focus on love and so on. The psychic can guide you by saying right now the focus has to be on finances and when that is cleared they can tell you what is coming in. Then it is free will energy to choose what you will do with the information given. I hope this brought you clarity. This is an excellent question. Thank you Browneyes. And thank you, Gina Rose, for sharing your thoughts and, what a pleasant surprise to see you here!! 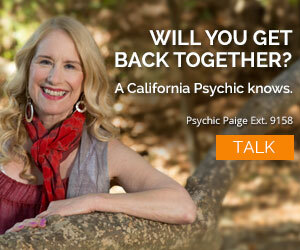 I did not realize you were training psychics, Gina Rose. I am just curious, did your aunt train you? That is so awesome it runs in your family. It’s good karma to pass your knowledge onto others. Thank you Gina Rose for replying but I think you misunderstood my question. The mood I was referring to was the mood of the person that I had the question about. I have been asking about the return of a lover. His mood changes quite often as he is very wishy washy. So my question was this. He becomes friendly with me then he isnt for a while. Does his feeling of me at the time of the reading effect the outcome seen my the psychic? I ask this because of the different outcomes that I hear and some of the psychics telling me that only snippets of time are being seen in some readings. I have been calling CP for the last 1 1/2 years. There are a few of you that have helped me tremendously with the most accurate readings, timelines & future predictions I ever thought possible. Today I’d like to say Thanks for participating in this educational forum for all of us to enjoy. There are times I want to get a reading not to get my future told rather to learn more about the laws of the universe and spirituality but it’s a pretty expensive way to learn about that subject. So thanks again for sharing your divine wisdom on this blog. This is really wonderful. I’m excited. I will definately stay tuned! Hi everyone. I mentioned something in one of my comments on a different blog here but wanted to ask Abigail or Miss Krystal or whoever may have an answer for me. When a reading is given, would the mood or feelings that the person in question is having at that particular time have an impact on the outcome the psychic is seeing? And also, I do read the bio’s of every person that I have had a reading with. A few times I have just wanted to try them but most times I choose the ones that have the most testimonials saying the clients have seen true results or when they have a 4 or 5 star rating on love/relationships. But I have had a few readings start and within the first 4 or 5 minutes I am feeling as if this is not working out. But then sometime I am just mesmerized by the psychic and cant seem to get enough. I guess that is when there is a real connection, or is it that they are telling me what I so want to hear. I would appreciate your input on my question so much and thank you. How very true in what you say. Its the few moments that we have to build repore. I myself will ask questions for clarification on what I am receiving from spirit or I may ask so that your mind will give you the correct answer from within. Not all accept advice from another but you will from your own mind. I am merely the facilitator and as long as I am able to guide or help the client then my job is done. So many get caught up on this question thing every reader is an individual as is every client. Its all about making a connection. If you are open you will get the answers that you came for. Its when there is hesitation hidden agenda’s and holding back that makes for a bad read. The reader will pick up on the testing and to be quite honest it shuts the third eye down for almost every reader you are not giving permission as Verbena so graciously puts it. That was such a great analogy! It is very true, I have looked at men my friends are involved with and that “hhhmmm, don’t get it”? But what I think is irrelevant. I do appreciate your input and will be in touch to let you know what happens. Good Luck Browneyes! I know exactly how you are feeling! Bravo, Miss Krystal! This is terrific advice, and you’ve said it better than I ever had, so I’m taking a leaf from your book from now on!!! Goodness, Abigail, I am a wood woman. Very good. I have wood all over my place, including some cherry wood. How was the psychic scene over in Italy? I sure appreciate your remarks. Due to the fact online dating is so huge, I would not be able to remember you from the example you gave. It’s amazing how many people go on the single sites and, I have to admit, not sure if I told this to you in the reading, but I have seen many people get engaged off these things. Anyway, that was real nice of you to offer insight to browneyes. However, as far as you saying some readers say if it is “worth” your while. Hmmmm. This is the way I look it at, and I am sure you will laugh when I say this, because everyone does when they ask this question. First of all hun, he’s not for me. Who am I to tell you it is or isn’t worth it? I don’t have your heart. What I want in relationships may be entirely different than what some other ladies want. Moreover, I don’t live with your heart. Don’t you look at some of the women you have known in your life, and the men they love and think, in a silly way, what does she see in him, and then laugh to yourself seeing the real point, which is, I am not in love with him, she is. Case in point. And, besides, you could be asking a woman who only cares about money, and what is that type of woman going to think if that man is not rich? Us gals are looking for different things. I have clients who call and come straight out and tell me, I am looking for some $$ support, and the psychic robot in me, says, okay let me tell you who will never be rich and who will. By contrast, I have women call and say, I just want a faithful companion that I am attracted to, with a lot of chemistry, and, I will look for that. Therefore, that question is something you, yourself, know deep inside of yourself. You may want to omit that question in future readings, it could throw you off. I cannot guarantee that some psychics look it at the same. I can’t speak for them in this category. You may think some of things that are “worth it for me” are strange. I find that in my own life and for many of my callers, that is the absolute and complete truth. It’s a matter of trust, and part of letting go is letting go of your version of what it would take to make you happy. So often the Universe has WAY better stuff in mind for you, and comes through with amazing and magical solutions that you couldn’t possibly have imagined for yourself. Life works very differently for everyone in areas where they feel they can trust. You’re more relaxed, more open to hints and possibilities that your guides and helpers send to you, and you’re more “in the flow” with your higher self and the highest and best parts of those you’re involved with. Worrying (and, trust me, you can’t be as much of a worrier as I am!) pinches off the flow of Universal well being. It’s hard to take our attention off important things that don’t seem to be working well, but sometimes it’s the perfect solution … give it to God, or the Universe, or your favorite Angel, and let them apply their vast power and love. I’m working on an article for the newsletter that should appear in the next 2 – 2-1/2 weeks that’s on this very subject, so you might want to check it out when it appears. Thank you Kathy, Verbena, Miss Krystal, and Abigail for all your input. I guess all this time I have wanted to just hear that yes he will be back. I do understand now that you are dealing with probabilities and not fact with the prediction part. I hope I am not asking too much here but I kind of understand how you pick up on my energy from my voice and stuff. But how do you pick up on the energy of the people we ask about so well? The things I have been told about this man were so right pertaining to personality traits and feelings that he had that I know to be true. And like this one, I knew he was seeing someone and knew her name. I asked Nunu about her and she told me not to worry that she would be gone by a certain date and that they were fighting. She was completely right, by the date she gave me, they had said goodbye. I was blown away. The same thing happened about another woman too. And she also told me when I would talk to him on the phone but said there would be conflict. Guess what? Here came that phone call in the general timeframe that she said and we did have conflict but ironed it out. Its just amazing to me some of the things that you people can tell me that I do see happen. I wonder about it so much, just how you see this stuff or what it is you feel to be able to give this kind of information. I guess you can tell by how often I am here that I am sooooooooo interested in all this stuff. I love talking about the readings I have gotten and the things that have happened that were predicted. I just think its amazing. LOL to you Miss Krystal I said I lived in Europe not Italy but OMG you must be Psychic! I lived in Italy for 6 years. Interesting I keep getting cherry wood around you. That is very nice of you. You put a big smile on my face. Believe it or not, I try and, always try, to inspire people. If I sound straight forward, it’s my mom’s fault (strong sag) lol and my radio training and background. I have feelings, too. I have no problem holding someone’s hand virtually in a reading. I am not really a Dr. Phil type of person, even though I agree with some of things he says. I was once in your shoes, Browneyes. It’s when I jumped back on the globe and started to live my life, looking for fun and new things, that made things roll faster for me. Try to let the good times roll and so will everything else. Well, almost everything. If only it were a perfect world. But you have a big heart and please do realize that there are so many people around you who appreciate this about you! If you need a good cry, good laugh, or want to dig deep into something, you can always call me, Abigail or Verbena. We do care as well as your other favorites. So you have a team of great psychics right here for you. hello Verbena. I so know where you are getting at. For me, it depends on the energy I feel from the client. Sometimes I can just start with a general reading, and sometimes when the client is holding back, I have to ask what is it they would like to know. In my experience, the more the client is showing interest in what I have to say, the more comfortable I am at just doing a general reading. Therefore, Verbena, it really depends on the energy I feel on the other side. Perfect point. I agree. Again, it is best to stick with the psychics you feel comfortable with and also, the ones you feel you are getting results with. Abigail you are known for giving complex details, for example. Now, for someone like myself, this is totally appealing. And believe me, there are a lot of clients out there who depend on your complex details. However, it is good to read the psychics bio in order to determine your needs. I think this will help Browneyes, don’t you think, Abigail? She should read the bio’s before she jumps into a reading say with someone new. I have been having readings from CA Psychics for about 2 yrs, probably a little longer. I had one Psychic that I spoke with often but she is gone for some reason. I have had a couple readings with you Miss Krystal and have really enjoyed our conversations. It has been related to a romantic relationship as well (one of the ones that “popped up” on Match). I have spoken with several of the psychics there, as well and got basically the same information. The only difference is that some say he is worth the effort and others say he isn’t, that would have to be my decision I guess. The one thing that differs with you is you gave me advice on how to handle the situation, which I really appreciate. You said, wait! The longer that I stay aware, the quicker he will return. Patience is not my best virtue! With all this said, I guess I am trying to respond to Browneyes and tell her to go with the one(s) that you feel you have a connection with. I seem to feel right away the ones that I didn’t really connect with and I think we both just wanted to end the call. The time that we had discussed hasn’t come about yet so I don’t know how things will work out. I just wanted to see if I could help Browneyes at all. I know how she feels about not wanting to hold on to the false hope. I hope it all works out just as you would like it to. Thanks, Miss Krystal! Thank you Miss Krystal and Abigail for responding. I do feel that I have had way too many readings and used too many different psychics. I do have a few though that make me feel so great with the confidence they show in their prediction for the outcome that I am hoping for. I do understand about free will and timing. And I do think the timing was not right for us when we were together even though everything was wonderful, he wasnt ready. I am a very impatient person with this one thing I am waiting for and it just gets so hard sometime but I am taking the advice of one of my favorite psychics and letting things go for now. I am also seeing change in myself as one of the other ladies told me was about to take place over the next two months. Even though I get discouraged with this waiting game, I do want you to know that I have seen myself grow with the advice and encouragement I have received from CP. And Miss Krystal, you are one of them. You read for me months ago, you told me that I was attractive and I dont know why you did, but I needed that at that time. You also said some other things to me that made me feel really good about myself and that maybe I wasnt going crazy after all, lol. You were very uplifting to me and I did receive contact from this man I asked about in the timeline you gave, but I am still waiting for the reconciliation and I now believe it is all up to him to come to terms with things in his past and be able to move forward with me. But with the help of you wonderful ladies and a couple of the gentlemen here, I am moving forward with the knowledge that there is a good life for me and I can be happy without him even though I would rather be happy with him. Maybe thats what the universe is waiting for is for me to let go and just let it happen. I was so depressed for so long about our breaking up but now I know that he was a very lucky man to have had me in his life and maybe he will wake up to that fact soon. If not, there is another lucky man that will find me when the time is right. Thank you so much and I will be getting readings now and again but I think for now I just need to give it some time. I love this blog thing, I have waited a long time for it to open up and I certainly hope I am not writing too much here but I think it helps other clients of CP to hear about success stories as well as the reality that not all predictions come to fruition. But we can find happiness anyway. Thanks again. I wish I had more time to jump into this discussion in detail, but I have to run in a minute. Browneyes, you’re getting some great advice from Abigail and Miss Krystal, and I agree with them, and will add … free will can throw a monkey wrench in just about any prediction. My sense is that we psychics deal in probabilities with our predictions, not iron clad facts. Hi there browneyes. I have browneyes, too! I understand your concern. Everyone has different needs. Have you ever gotten an “A” on an exam in school? Well, most of us who have gotten some “A’s” on tests, still received a couple “red” marks, but still got an “A.” Once in a while, some of us have received a perfect 100%, but that is usually not most of the time. In other words, you can get an “A” on an exam, and still miss one or two. That is the same with excellent Readers. So be reasonable when you critically exam your readings. 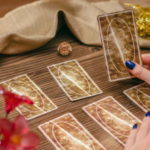 However, if you have found psychics that you feel comfortable with, and are getting confirmations and accuracy, then one could conclude that there is a big chance a lot of other stuff that has not happened yet, as predicted, will still come true. Now, here is the tricky part…..
You have free will energy. Hopefully your psychics have given tips and suggestions in order for you to reach your goal as soon as possible. Finally, you should stick with the readers that you enjoy and feel a positive connection with, and have come through for you with accuracy, predominately. I have had many readings with CP in the last 8 months. All dealing with the same subject, romance. I have been told different outcomes but the majority saying he will return and we will be together in the end. But some have said no he will not, that we will only be friends. How do I know which predictions to believe? I do ask to be told the truth and do not want false hopes of any kind but do we go with the majority of the readers or what when expecting a certain outcome? I have been very impressed with the description of personality traits of this person that I always ask about. I have seen a few things happen that I was told would happen but the one thing I am truly waiting for seems to keep getting pushed farther into the future. I hope someone can answer this question for me as I just dont know what to think anymore and feel very confused and unsure. Well, thanks, Abigail. I totally appreciate all of your remarks. As I was reading your post, I got this vision of a spirit of an Indian woman around you. Do you know who this is? Is this one of your spirit guides? I believe so. 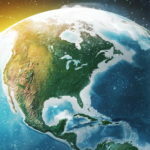 I think it is interesting how some of us psychics have had training with other cultures. Are you at all native american or, is this a culture you have just embraced? I actually spent a lot of time in Japan, China and London. It was a wise old Chinese man, in Shanghai, who warned me and told me that even though I have gifts, I have an ethical universal duty to be gracious and always truthful. In other words, the truth will not only open up our minds to great depth, but it releases the emotional residue stuck inside our soul that must be released. And, if it is not released, we remain lost and stuck in stagnation/inertia. Not only will the truth set your soul free, but it will also let us see the light at the end of the tunnel (every time but sometimes there is a waiting period). There is nothing to fear as long as you know the truth. You are very much in the light, Abigail. Your ability to nurture and calm people down is something that I am sure your clients appreciate about you so much. I can feel your healing energy. I can feel that you are a very peaceful soul. Do you feel, as spiritual psychics, we can remain positive and truthful, no matter what the circumstances surrounding our clients could be? The psychic can see what the outcome can be, but the client has to do the work that is suggested. Using this point, this is why, or one of the reasons, I feel we must ask what we are ready to hear; however, only because there is a 50/50 chance the client may receive tips and suggestions that could literally change the situation in their favor, a lot faster. Being a person with a background in spirituality (Abigail) it would appear that you foster your readings in a similar way? Please let us know. Because I get readings sometimes myself (I explained in the using tools blog I do not believe in reading myself) and I would only hope that the reader would point out to me where I could improve the situation to more of my advantage. I am very grateful for your remarks. Bravo Miss Krystal! The repore with client and reader will be so much clearer. This allows the flow so the third eye is wide open and ready to recieve the information. What most clients do not realize is being vauge about what you want to discuss or know about leaves you open to all kinds of things you may not want or care to hear about resulting in frustrations for you and the reader which effects the over all reading.